Are you all anticipating Spring's arrival as impatiently as I am? 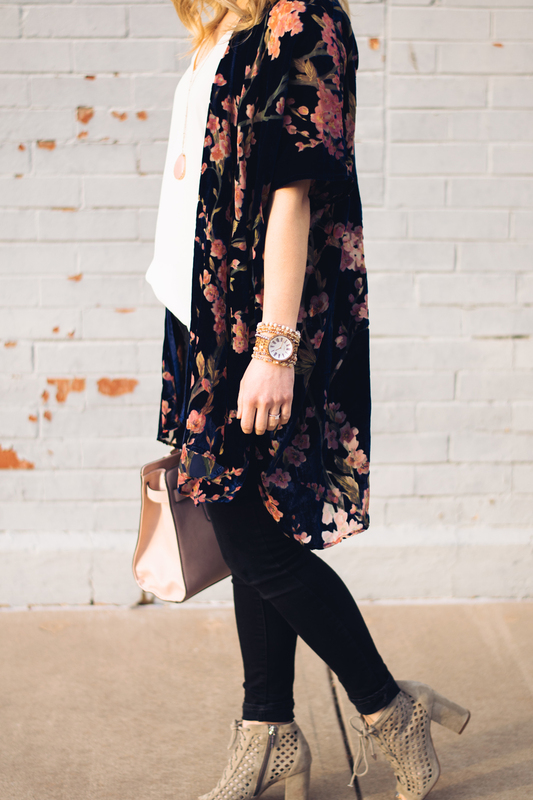 I have been prematurely breaking out ALL my Spring outfits (including this gorgeous kimono), and today I get to share the perfect accessory to all of them with you! The watch I used to wear daily broke over a year ago and since then I hadn't found one that I liked well enough to wear every day again. I have been using my phone to tell time at work which is really a pain when I need to time my sessions at exactly 20 minutes all day long. 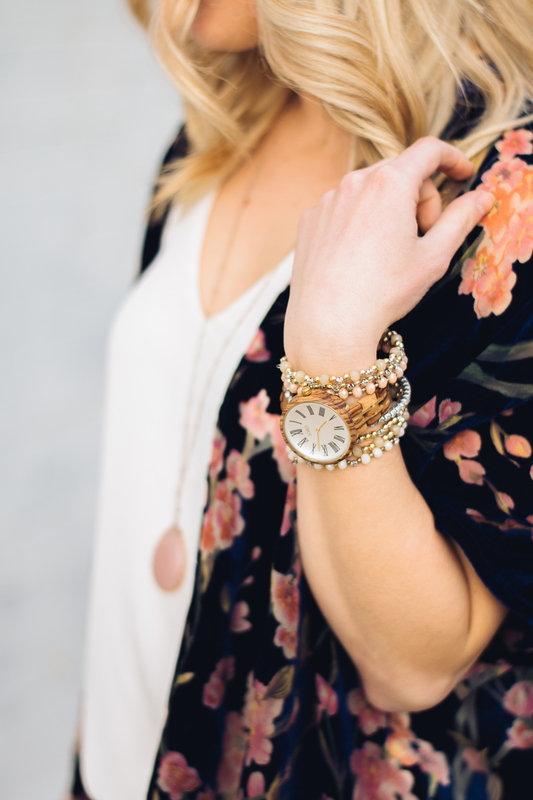 Then, I found JORD's unique wooden watches, and I was in love! I had never seen a watch that looked like this, and they have so many different choices. 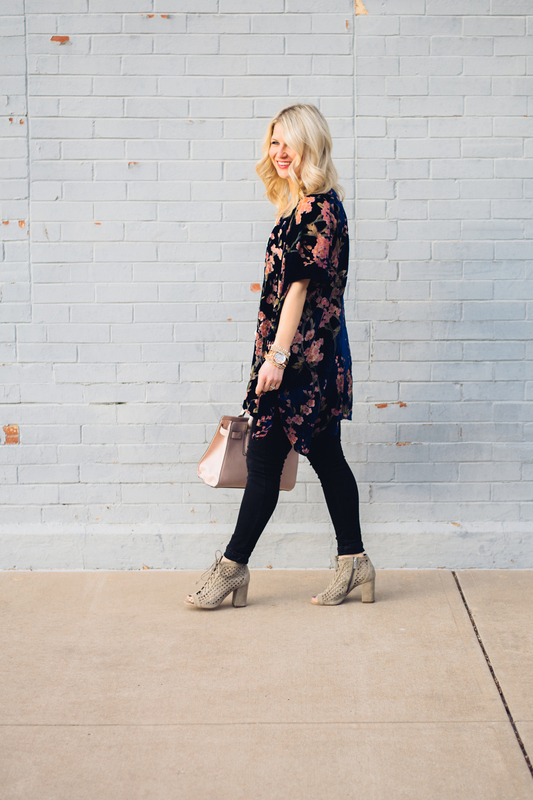 I went with the thin band in the Cassia collection and chose a light color so it would go well with all my Spring clothing. 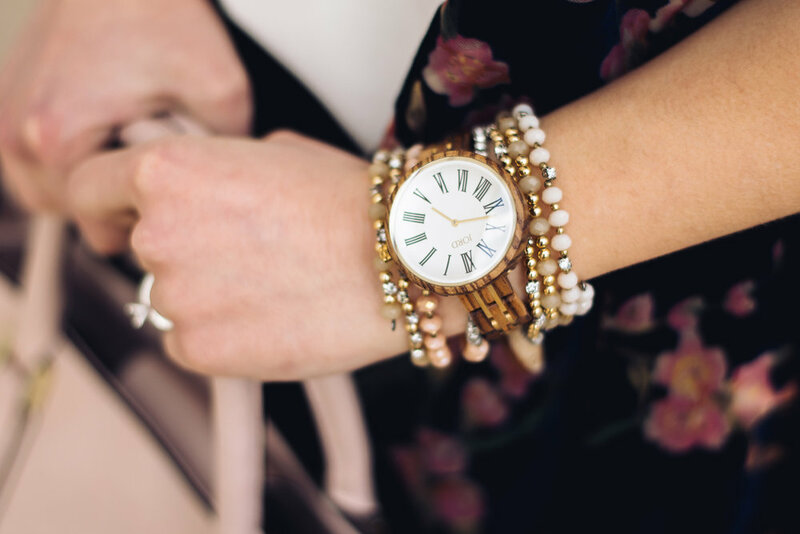 I think a watch with some pretty layered bracelets make any outfit look put together. This watch is great quality, and I love that it's something you won't find 100 look alikes of in every store. JORD goes out of their way to make each watch special by including a beautiful hand-engraved wooden box to keep the watch in as well as providing specialized engraving on the back of the watch on request. Those special touches make them great gifts as well!